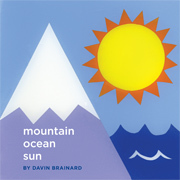 mountain ocean sun is part of the Soberscove Press Artists' Board Book Series. 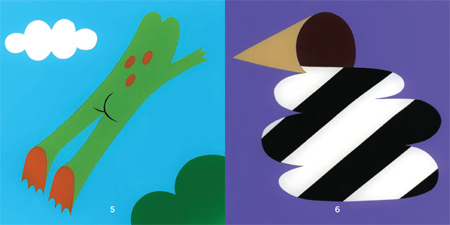 Intended for art lovers and book lookers of all ages, these books were produced using aqueous coatings and soy inks. mountain ocean sun presents deceptively simple paintings in which what you see is what you get. But what do you see? Celebrating the possibilities of color and shape, each page invites readers to come up with their own descriptions and stories, providing opportunities for creative observation and conversation.